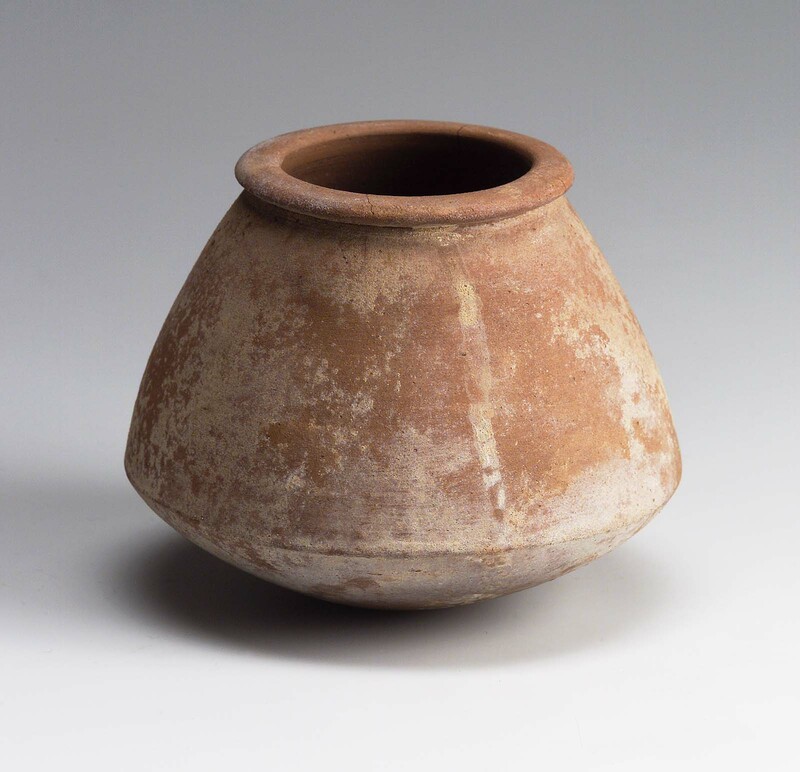 Globular, bag-shaped jar with round base and flattened, everted rim. Brownware, with traces of white slip. Surface slightly worn; two small cracks in rim; condition otherwise excellent. From Giza, G 7000 X. Exp.Ph. B 8413 2/5 / BG. 451. 1934: excavated by the Harvard University-Museum of Fine Arts Expedition; assigned to the MFA in the division of finds by the government of Egypt.